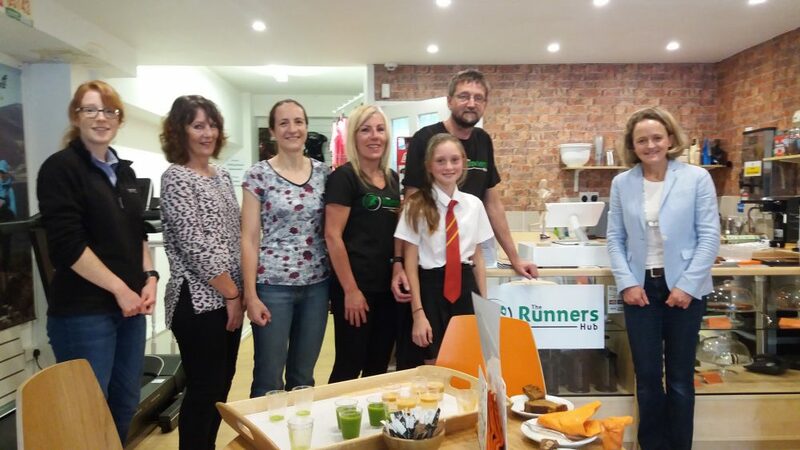 Last week prior to her event at The Lever Club in Port Sunlight Mara Yamauchi, former Olympian, world class marathoner and the second fastest female marathoner in Great Britain, popped into The Runners Hub. She enjoyed a chat with us, some cake and a glass of juice. Mara talked about and gave insights into her own elite running career and was also really interested to know about what local running clubs and events there were on the Wirral, and asked about all of our running experiences. Afterwards she gave a talk about marathon training at The Lever Club in Port Sunlight, an event that was set up in memory of Leo Carroll, the former chair of Wirral Athletic Club who sadly died earlier this year. We’d like to thank Mara for visiting and she’s certainly welcome to pop in for more cake anytime!